Items seized as a result of the search warrant. The Pelham Police Department arrested a resident of Nashua Road Apartments Saturday night after reportedly receiving a call from a unidentified tenant that a man was sitting in a chair, yelling that he shot four people. Authorities said they found Mark Schlagel, 67, in his apartment with the door open, where he was naked yelling for the police. According to officers, Schlagel had a loaded Smith and Wesson Body Guard .380 pistol beside him and told police there were four people attempting to break in. Police said they then detained Schlagel and got him away from the gun. Ammunition rounds were found on the floor, in the closet wall and bathroom. Residents reportedly told police they heard unknown loud noises but weren't aware it was gun shots. No injuries were reported. Police said majority of the tenants thought the noise was a hammer. Schlagel faces a Felony Reckless Conduct charge. He was transported to Southern New Hampshire Regional Medical Center in Nashua for evaluation, then to Massachusetts General Hospital for medical attention. 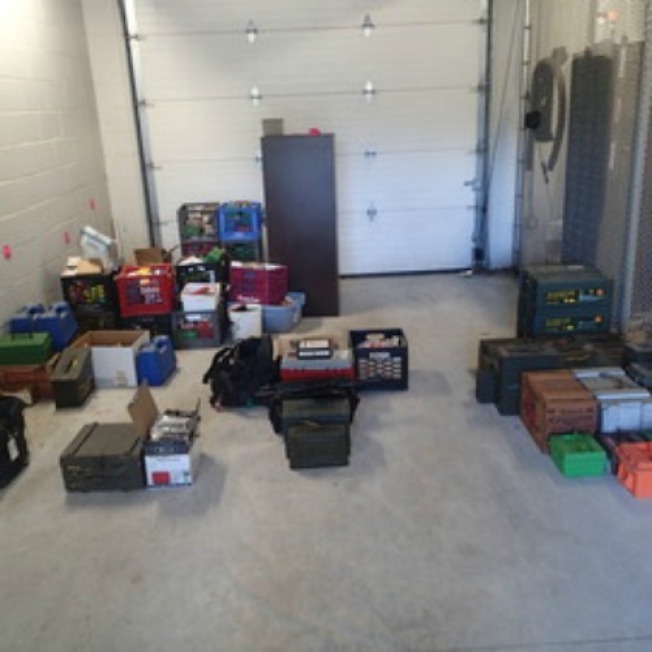 After getting a search warrant, authorities found 201 gun magazines, more than 10 thousand rounds of ammunition and seven guns in Schlagel's apartment. His arraignment is scheduled for November 26, in the Salem District Court.